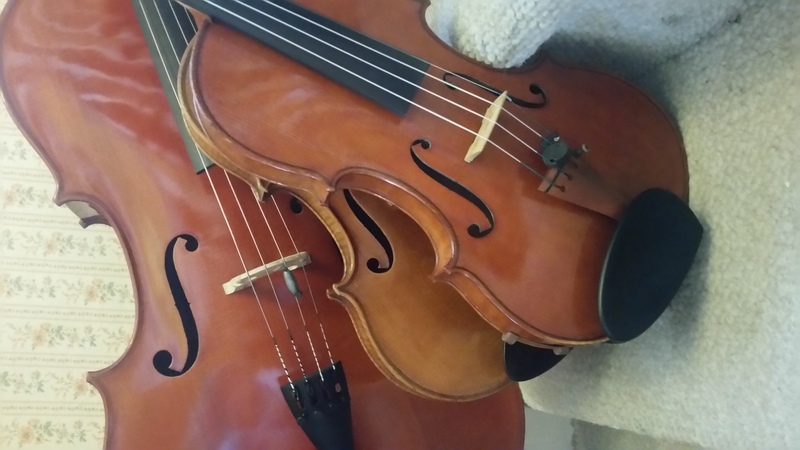 Essays on life and learning to play the violin. With a bungling beginning, oh the first attempt was awkward. Even painful. We didn’t know if we’d be able to learn it. But we did! Everyone was so committed and worked so hard. I am so proud of my trio. We learned so much, individually and collectively: Haydn’s Divertimento VI for String Trio. Along with the music, I learned that the core of chamber ensemble work is exposure, dependency, and responsibility. Exposure, because, as the only person with your part, you will be heard, in all your glory and all your failing, first by your partners, and then by your audience. Everyone will know exactly what you can and cannot do. Unlike real life and the masks we wear and deflections we wield to hide our imperfections, there is no hiding in a chamber ensemble, from anyone. Dependency, because without the full and best contribution of each ensemble member, the music will fail to exist, and the efforts of one’s partners will have been wasted. Responsibility, because others are relying on you to do everything you can to help them do everything they can so you can all bring your music to life. All of this exposure and dependency and responsibility requires a high level of trust among group members. Trust that everyone will strive their fullest and contribute their best. Trust that everyone will support each other in this striving. Trust, in turn, requires personal intimacy. Intimacy expressed in knowing members’ strengths, accepting their weaknesses, encouraging their growth, and appreciating their contribution in accepting, loving, non-judgmental fashion. Intimacy that allows the creation of a supportive, nurturing environment in which to work together. In return for commitment to intimacy and trust, you receive joy. Joy of music. Joy of belonging. Joy of friendship. Joy of support. Joy of work. Joy of growth. Joy of sharing. It had been told to me that playing chamber music is among the most intimate of experiences. I had never understood what that meant. Now I do, from playing with my trio. It is an intimacy found in a sonic realm, through the caressing of another’s sound with one’s own, that can be found in no other way. And when infused with trust and joy, chamber music adds a deeply fulfilling level of personal intimacy to life. Everyone loves their instrument, and music, and learning to play. Everyone practices on their own. Everyone comes to rehearsals prepared. Everyone is kind and friendly and interesting and fun to be with. Everyone brings musical experience into the group, and shares what they know. Everyone listens to each other. Everyone helps each other work out tricky parts. Everyone is easy and flexible with scheduling meetings. Everyone respects our coaches and applies what is taught. Everyone wants to get better, and to perform at our best. Everyone is excited about working together. Everyone brings joy and wonder to music and to life. We started 3 months ago. Cello and viola are accomplished musicians on piano and french horn, but we are all adult-beginners on our string instruments, and this is the first small string ensemble for each of us. My violin teacher agreed to coach us on Haydn’s Divertimento VI. Our first lesson was about feeling a scale together, in tune, watching each other and breathing together. Just the basics! Our first attempt to play the piece was painful. However, after one lesson per movement, and 2 guest coaches on musicianship (Appoggiatura = tension/release = drama/calm = strong/weak, and it’s all over the place! Or, which instrument has the beat when? Rhythm is important! Or, where is conversation happening, and when do you play off each other?) we are playing the entire piece through, comfortably and musically. Our 4 performances will be the test of what we have learned and accomplished. The most important aspect of a chamber ensemble is how the members respect and appreciate each other, to what degree they work together and get along. In this regard, we are lucky. For a random grouping of adult students, we share common work ethic and aspiration. Practicing and learning together some 6 – 8 hours a week over 10 weeks, we worked hard together, enjoyed each other’s company, and take pride in our joint achievement. From my partners I have learned what joy it is to play in a small ensemble, and what wonder the making and sharing of music brings to life. katefiddle on What is Reading? Peg Hardin on What is Reading?